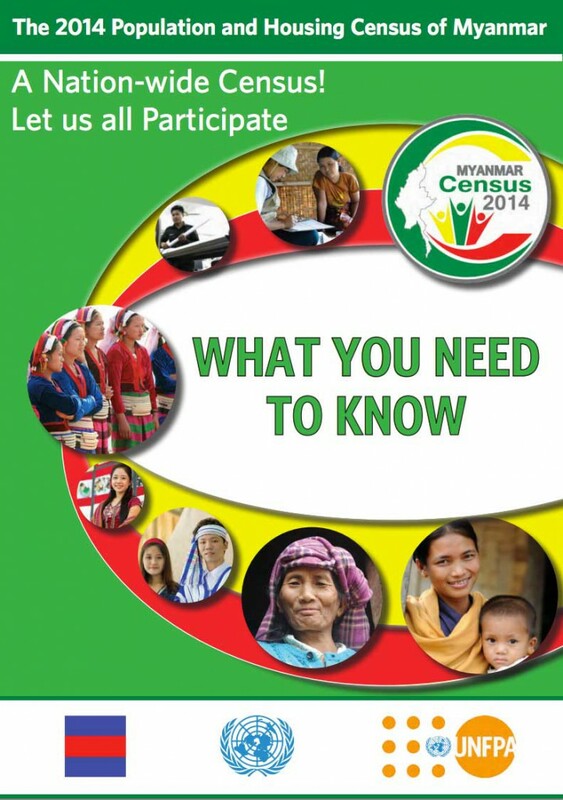 Myanmar began conducting its first national census in 31 years on 30 March 2014. The most recent prior census was in 1983, after which another one was not conducted due to the domestic political situation, among other reasons. Carrying out this new census has been characterized as vital for giving the impression both at home and abroad that democratic advances have brought internal stability. 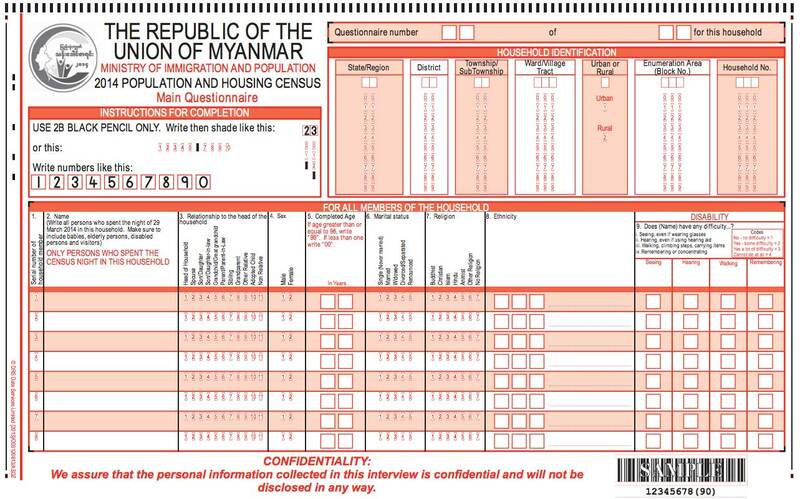 Meanwhile, the process leading up to the census has exposed issues Myanmar faces. In this essay I would like to consider some of these issues. The census was carried out from 30 March to 10 April. The Central Census Commission was established under the direction of the Ministry of Immigration and Population and it undertook the census with financial and technical cooperation from the United Nations Population Fund (UNFPA) and other sources. The interviewers, mostly primary and middle school teachers, were given instruction prior to the census. During the census they visited homes and entered respondents’ answers to queries on their questionnaires. Although the census was conducted on a “national scale”, surveying was impossible for some areas where insurgent forces of ethnic minorities refused to allow the census as well as for many of the Rohingya (detailed below) who decided not to participate in the census. The Minister of Immigration and Population responded to these concerns of ethnic minorities by saying that corrections and changes to the names of ethnic minority groups already on the list and other assorted matters would be handled after examining the results of the completed census, but no concrete plan was formulated and this became a source of concern for ethnic minorities. While on the one hand there are ethnicities not among the 135 ethnic groups who are worried about their rights, there has also been a reaction by those who foresee trouble if by some chance these groups assert their indigenousness. Frequent violence has occurred since in or around June 2012 in Rakhine State between the Buddhist Rakhine and the Muslim Rohingya, 3 but the government argues that the Rohingya is not the name of an indigenous ethnic group and that they are illegal Bengali immigrants from Bangladesh. The Rakhine declared that they would boycott the census if the government allowed respondents to enter “Rohingya” under No. 914, “Other”, when answering questions about ethnic groups. In the end, the government did not permit the Rohingya entry and urged respondents to answer with “Bengali”, but turned out to be counterproductive as it led those who call themselves Rohingya to boycott the census. In many cases the majority Buddhist Burmans were largely unaffected by the circumstances in which issues came to the surface through the census or pre-existing issues arose again due to the census and caused anxiety. How seriously do those who simply selected “Buddhist” and “Burman” take these opinions and apprehensions of those who have other ethnicities or religious identities? The current situation, in which the society is multiethnic while people living in it as minorities have cause for concern, is certainly not preferable. I believe we must also pay attention to the government’s response after the census results come out, based on the reality that the census holds more significance than as a mere population count.